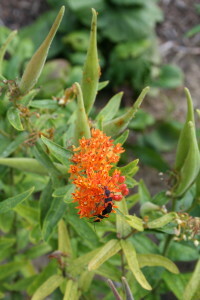 Butterflyweed (Asclepias tuberosa) provides nectar and food for many pollinators, moths, butterflies and aphids in the sustainable landscape. Creating and looking at landscapes in a sustainable way is coming to the forefront much the same way that organic foods, farmers’ markets and eating locally sourced foods have gained traction with the general public over the last ten years. Albeit, the idea of sustainable landscapes has a long way to go before it is has any degree of acceptance like the previously mentioned buzzwords in the minds of today’s consumers. 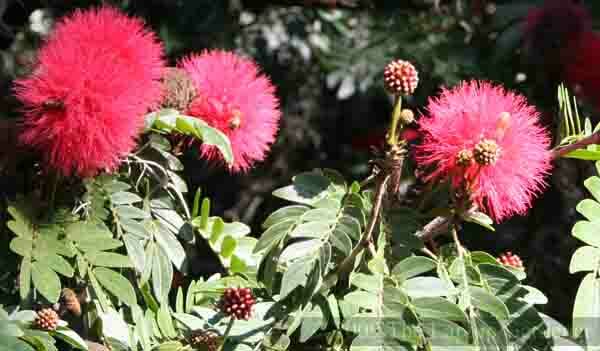 Chiefly to be accepted, the idea of sustainable landscapes needs to have a common definition and a broad enough scope that it can be applied to many different types of gardens on a wide range of scales from home garden to municipal parks. Sustainable landscapes, if they are thought of in a “do no harm, repair previous harm” way, can be created by most (if not all) gardeners. This expansion of the definition in a broader and more encompassing way makes sustainable landscaping approachable for many more gardeners (who hopefully will become staunch supporters of the idea). 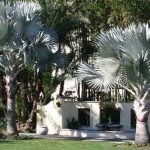 The American Society of Landscape Architects (ASLA) has stepped up and created a definition of sustainable landscaping that is broad and encompassing, and makes sense. On their website they say, “Sustainable landscapes are responsive to the environment, re-generative, and can actively contribute to the development of healthy communities. Sustainable landscapes sequester carbon, clean the air and water, increase energy efficiency, restore habitats, and create value through significant economic, social and, environmental benefits.” Nothing in this ASLA definition of sustainable landscapes precludes even the smallest garden. As of December, 2014, 34 landscape projects have been SITES certified with a rating of one to four stars, based on their sustainable features and practices. 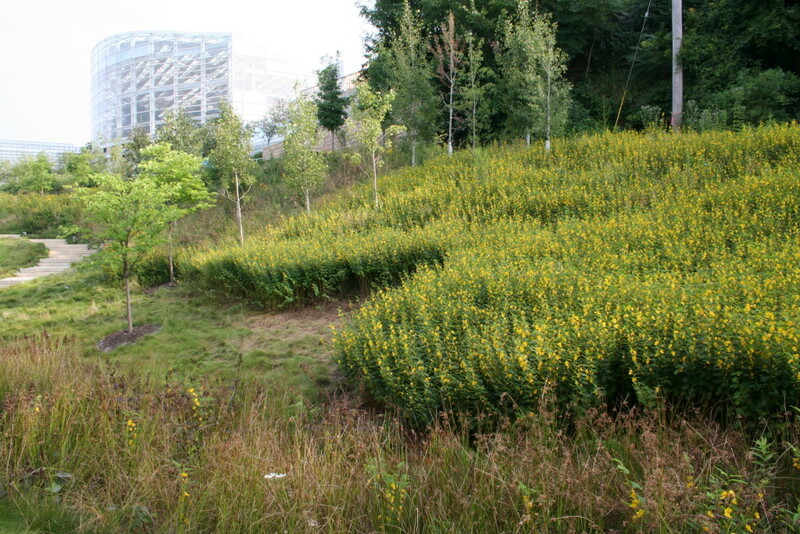 A four-star rating was granted to Phipps’ Center for Sustainable Landscapes (CSL), in Pittsburgh, PA. 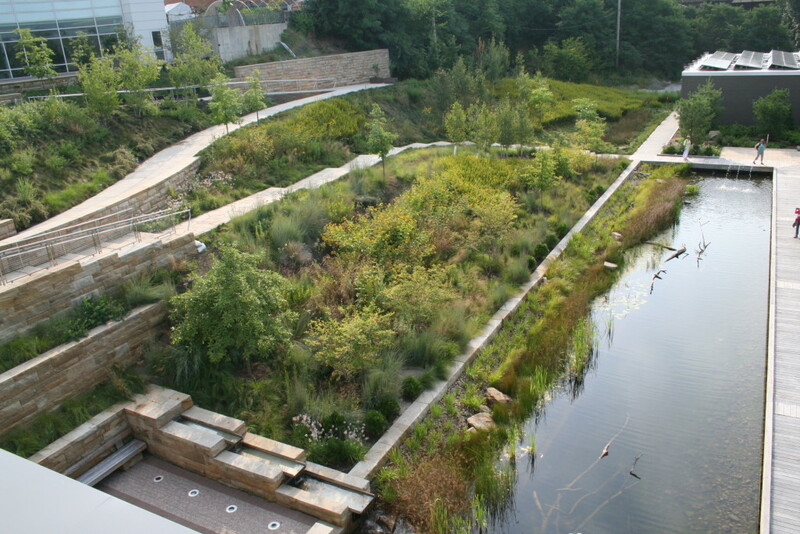 The Center for Sustainable Landscapes in Pittsburgh is the first four star (top rated) SITES certified project. 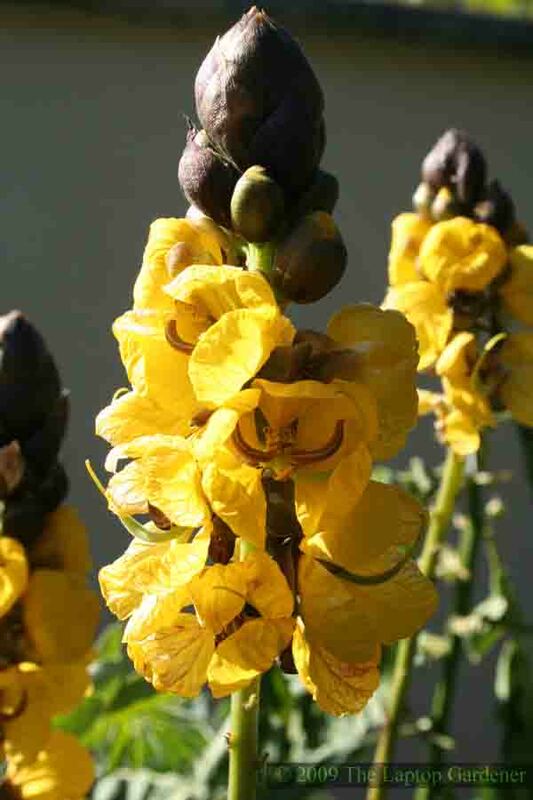 Chamaecrista fasciculata (Partridge Pea), planted in masses at the Center for Sustainable Landscapes, is an annual legume native to eastern United States. 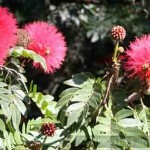 It is a good cover to prevent erosion, produces nectar for bees and adds nitrogen to the soil. 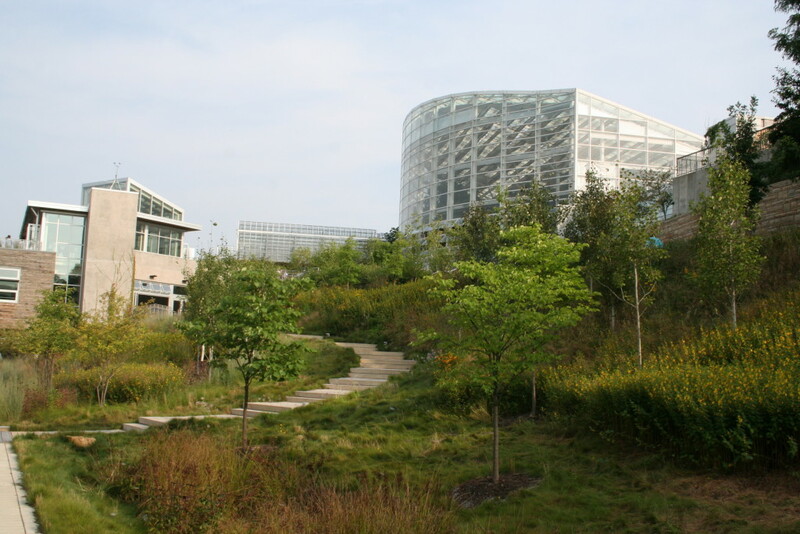 The Center for Sustainable Landscapes is the first and so far the only project to receive the program’s highest level – a four-star SITES certification for the building and landscape that surrounds it. The 3-acre site was formerly a paved, city public works maintenance yard with low concentrations of hazardous waste in the soil. Challenges on the site included brownfield damaged soils, a steep bluff with erosion issues, and previous dumping areas for construction waste and urban fill. The site now manages sanitary waste, has a LEED Platinum certified green building, has reintroduced 150 native plant species, and has net-zero energy and water use. 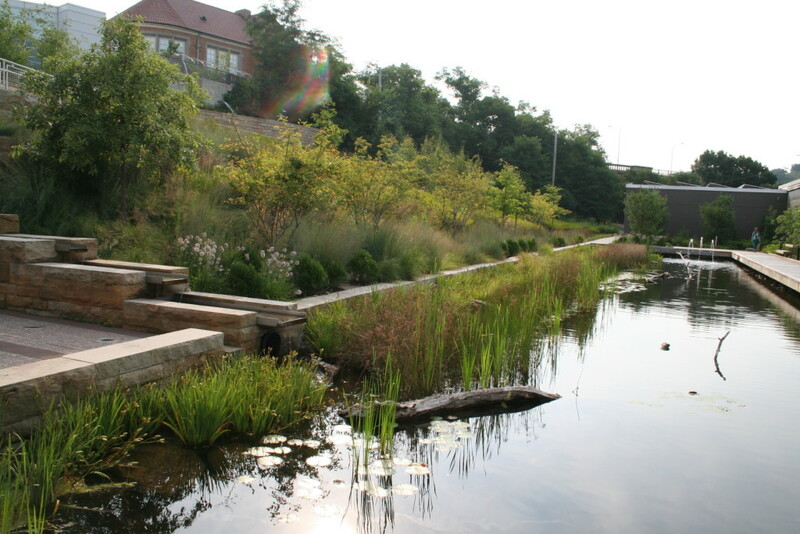 A 4,000 square foot storm water lagoon, surrounded by a boardwalk, is the focal point of the landscape design and can accommodate up to 3.3 inches of rain in twenty-four hours. 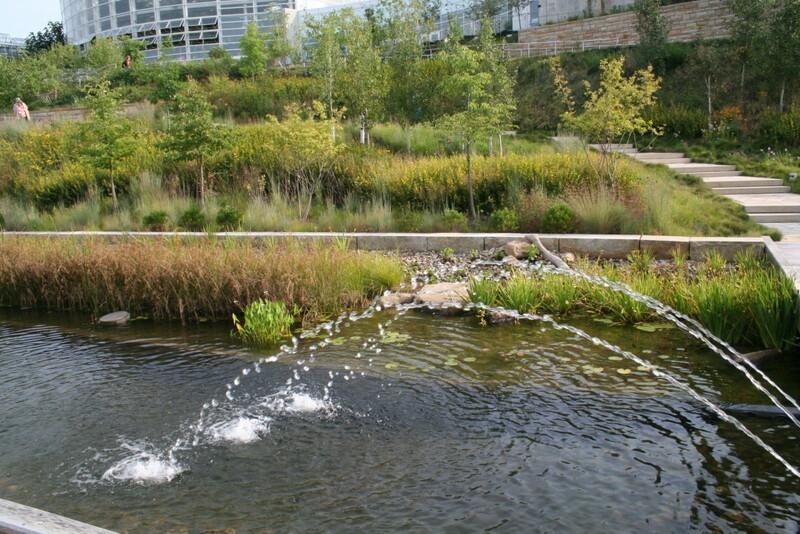 Rain gardens, a green roof, and compost tea use have been incorporated in the landscape. 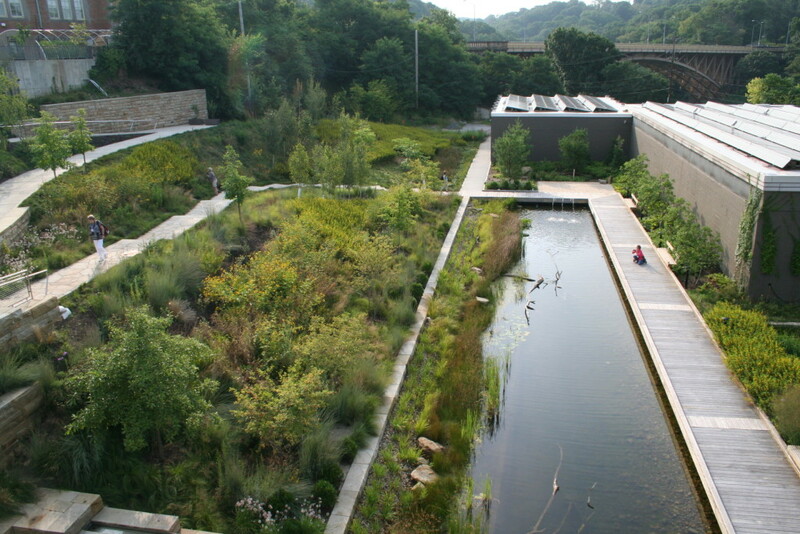 Looking down from the rooftop garden at the Center for Sustainable Landscapes in Pittsburgh at the stormwater lagoon and terraced landscape. Challenges that were overcome at the Center for Sustainable Landscapes site included brownfield damaged soils, a steep bluff with erosion issues, and previous dumping areas for construction waste and urban fill. 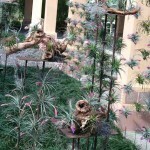 The achievements at this site, open for public visitation at the Phipps Conservatory, are impressive. They are generating all of their own energy, treating and reusing all water captured on site, just use rainwater for irrigation, have installed permeable paving, have a wetland water treatment system, have Net Zero Energy Building Certification, LEED Platinum Certification, WELL Platinum Pilot Certification (a protocol for measuring human wellness in a building). 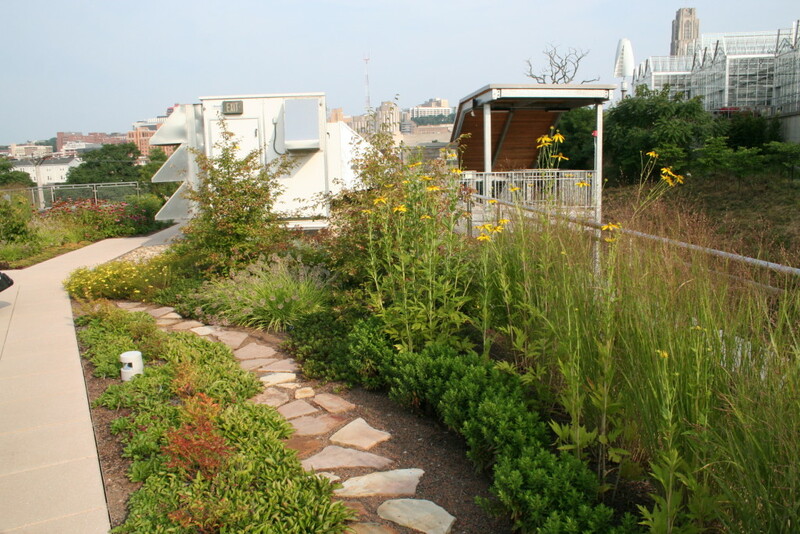 The green roof gardens conserve energy, slow rainwater and attract wildlife. Planting beds on the roof of the building have 8″ of soil depth to allow for optimum plant growth. 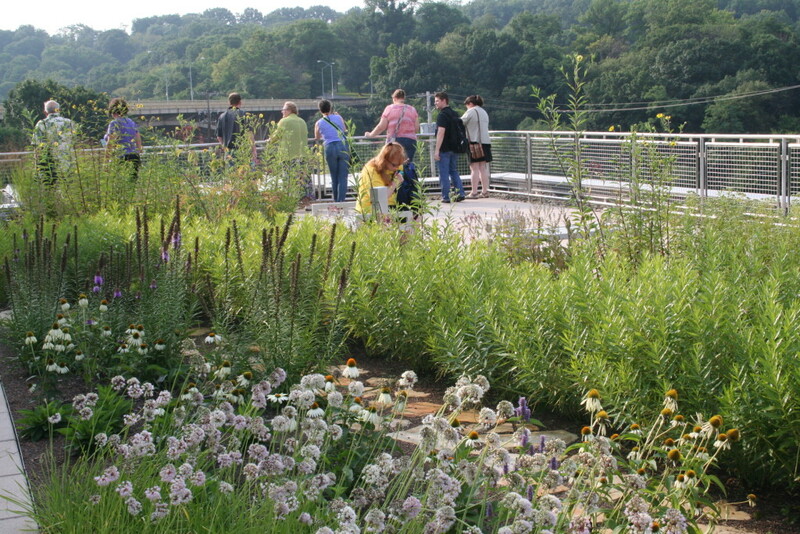 The roof of the Center for Sustainable Landscapes houses an energy recovery unit (background) and garden. The green roof retains 85% of the annual rainfall. Phipps Conservatory and the Center for Sustainable Landscapes are open from 9:30 am to 5:00 pm daily (later hours on Fridays). The Conservatory is surrounded by Schenley Park and near the Hunt Institute for Botanical Documentation, Carnegie Museums and the Cathedral of Learning in Pittsburgh, Pennsylvania. 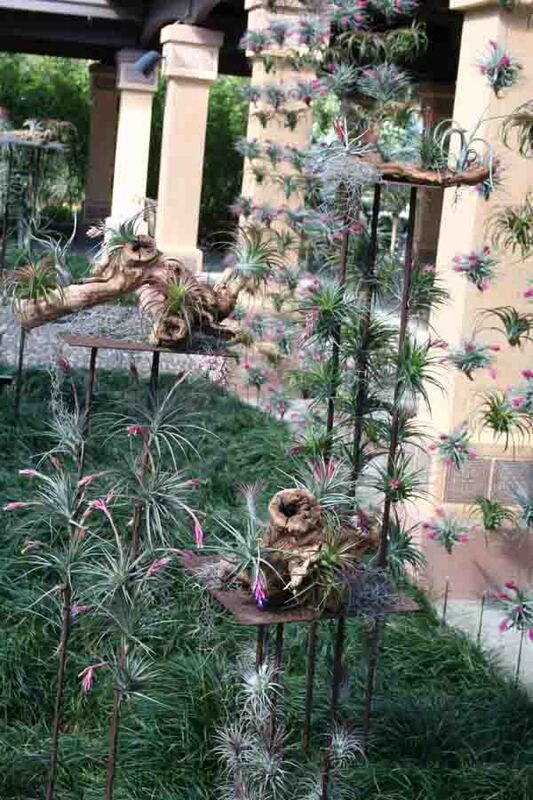 Phipps Conservatory, One Schenley Park, Pittsburgh, PA 15213 (412) 622-6914 (phone). If you set a map of Florida up on a dart board, a seasoned player will easily be able to get a dart to hit right smack on Central Florida and probably will be able to make the bull’s eye, money shot right on Polk County. 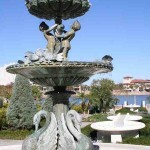 Polk County is the quiet, relaxed, laid-back neighbor to the boisterous, bustling, touristy Orlando and Kissimmee (Orange County) areas to the east and northeast . Close enough for an Orlando fling when the feeling strikes, Polk County is just a 1 hour drive from the Disney resort area. 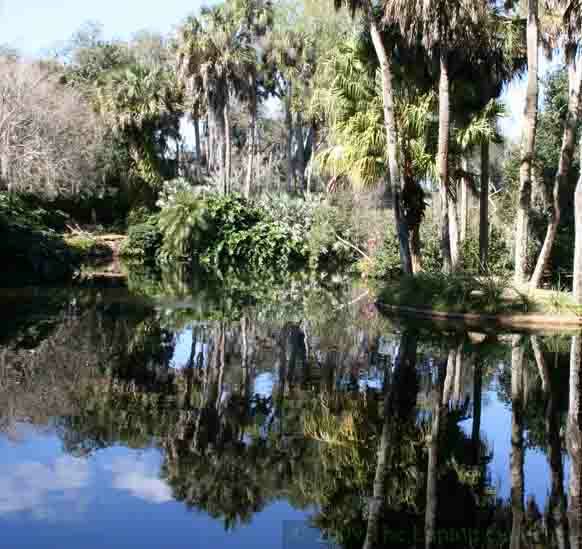 Polk County has many surprises beyond being an ideal home base or “bedroom community.” The area does have the ability to steal a little daytime fun away from Orlando too. Polk County, Florida was named for Tennessean, James Knox Polk, the 11th president of the USA. During his 4 year term from 1845-1849 he his lauded for his ambitious accomplishments. He threatened war with Britain, then backed down and split ownership of the Northwest with Britain. He was responsible for the second largest expansion of the nation’s territory and successfully led the Mexican-American War. Polk was the first president to retire after a single term without seeking reelection and died of cholera three months after he stepped down. He should have come to rest and relax in Polk County Florida! 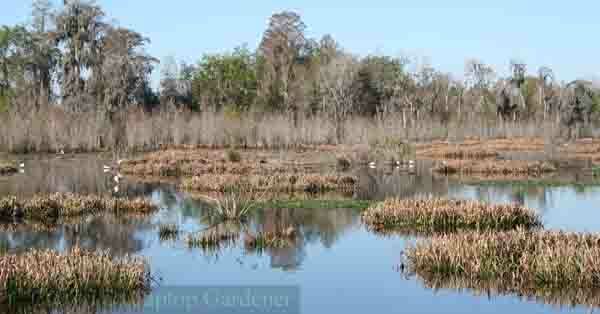 The major cities in Polk County are Lake Wales, Lakeland, and Winter Haven. 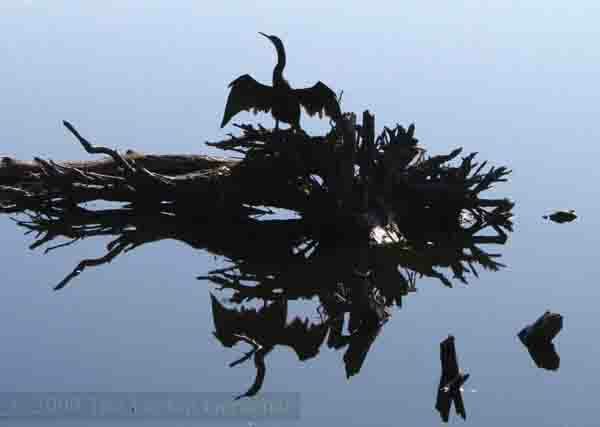 A significant part of Polk County is water – 6.75% of it is under water according to the U.S. Census Bureau and this includes 554 named lakes (one for every day of the year and plenty for two visits on the weekends). 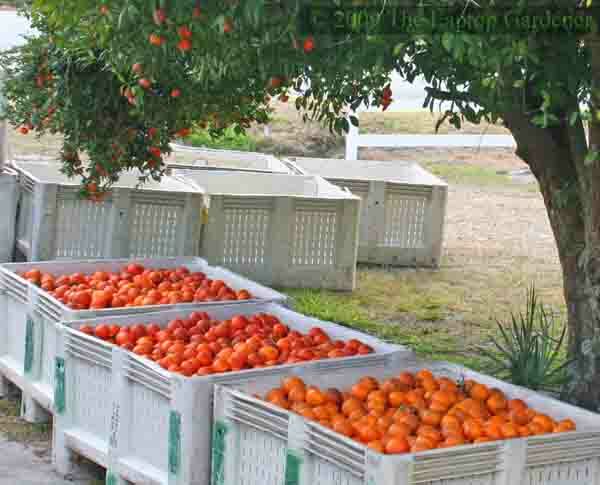 Historically Polk County has had citrus, cattle and phosphate mining industries. Close to 100,000 head of beef and dairy cattle still call the county home but are gradually being pushed aside by land developers. Phosphate mining was a big industry until it has been stalled of late by low prices and weak demand for fertilizers. Still there are millions of tons mined each year from 5 active mines. 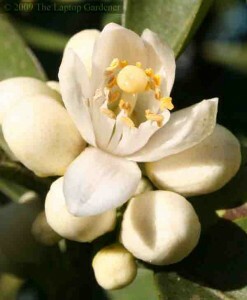 The citrus industry is the most visible of the big three industries with 95,000 acres of commercial citrus groves in cultivation. 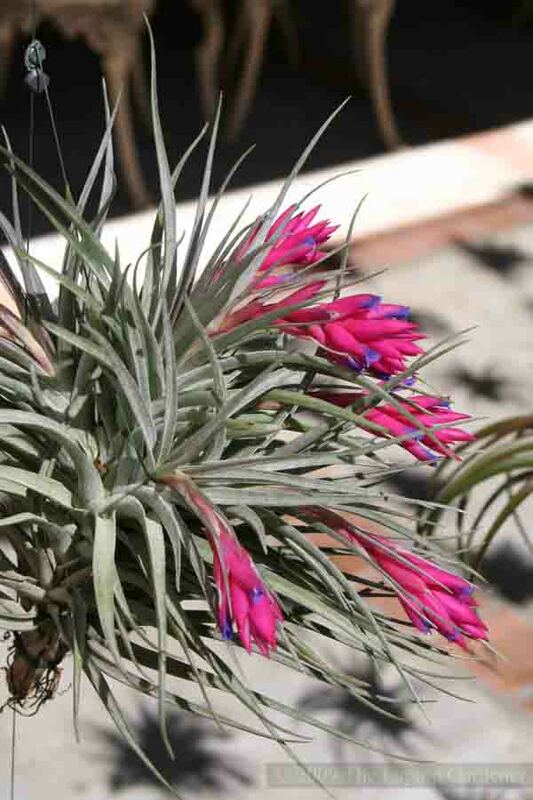 On the gardening side, Polk County has long been a visitor destination. 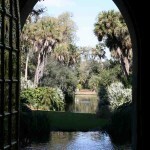 It is the home of Bok Tower Gardens, dedicated in 1929 and Cypress Gardens, Florida’s first theme attraction. 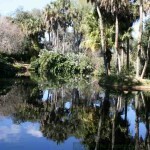 More recently Hollis Gardens was developed and opened in Lakeland in 2000, drawing visitors to its tranquil setting on Mirror Lake. 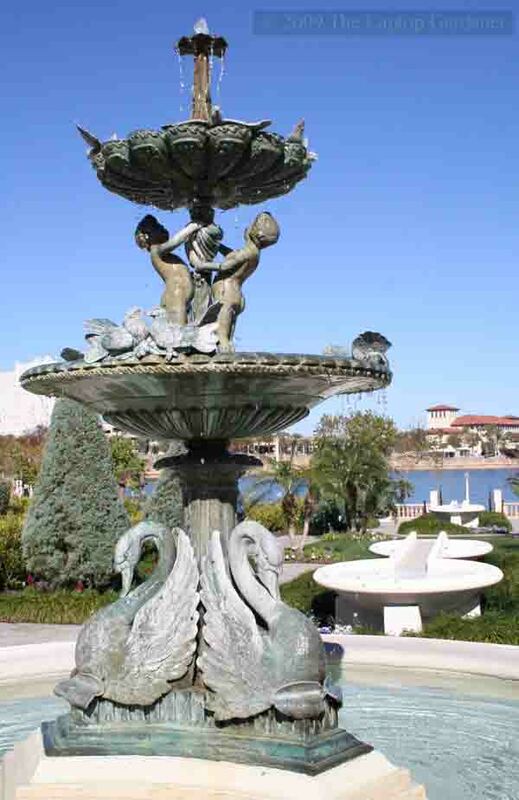 Lakeland, Florida is the city of swans and whether live or sculpted, these majestic birds are right at home in this city. 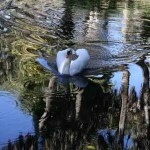 There’s an interesting story behind the Lakeland swans. 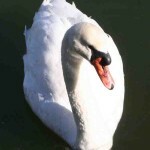 The white mute swans found on many of today’s Lakelands lakes are descendants from a pair donated by Queen Elizabeth in 1957. 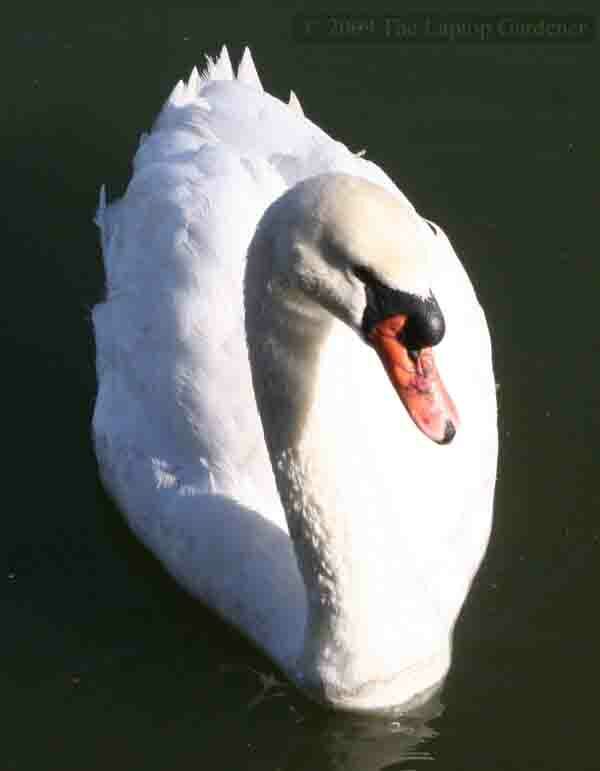 Because of hazards from cars and alligators, the swan population in the early 1950s had dwindled down to 1 from a high of 20 or so birds in the 1930s. A Lakeland resident living in England wrote to the Queen hoping to buy a pair of the royal swans that were living on the Thames River. The Queen offered to donate a pair if the cost of transportation was paid for them. 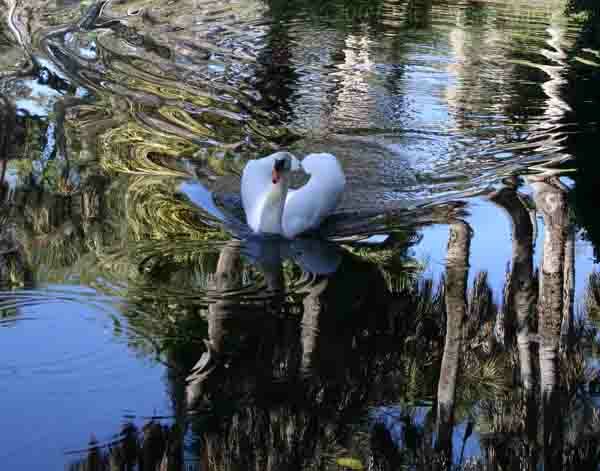 An Englishman who had visited Lakeland donated the $300 to make it happen and a pair was released in Lake Morton in Lakeland in 1957. 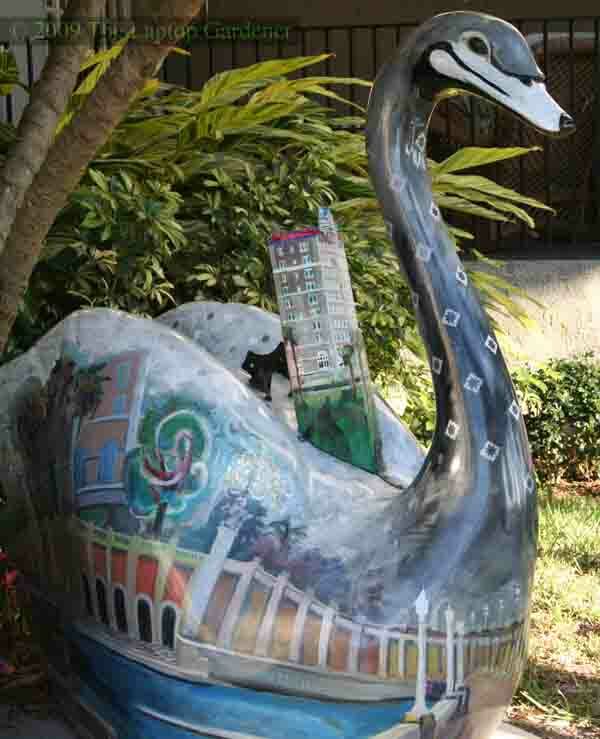 Swansation Art Project was a public art installation initiated in 2003, where 5-foot tall, life size (or larger) swans were decorated and placed around Lakeland. 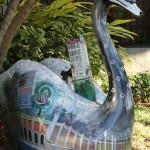 62 of the decorated swans were then auctioned off to benefit a Children’s Museum and many still can be seen in the Lakeland area. One is in the courtyard entrance of the Terrace Hotel. 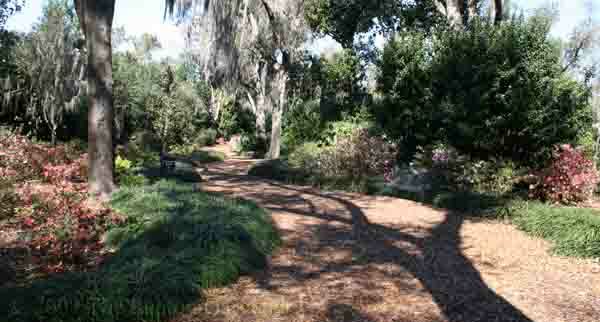 Hollis Garden is a formal 1.2 acre botanical garden donated by the Hollis Family to the City of Lakeland. 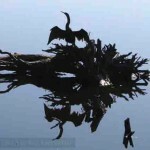 It is located on the banks of Mirror Lake. Stacy Smith, Park horticulturist was a gracious tour guide and justifiably enthusiastic about the interesting plants and design there. 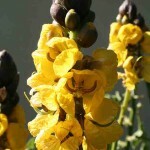 Of note are the silver bismark palms and popcorn cassia or yellow senna that smells like popcorn when in bloom. 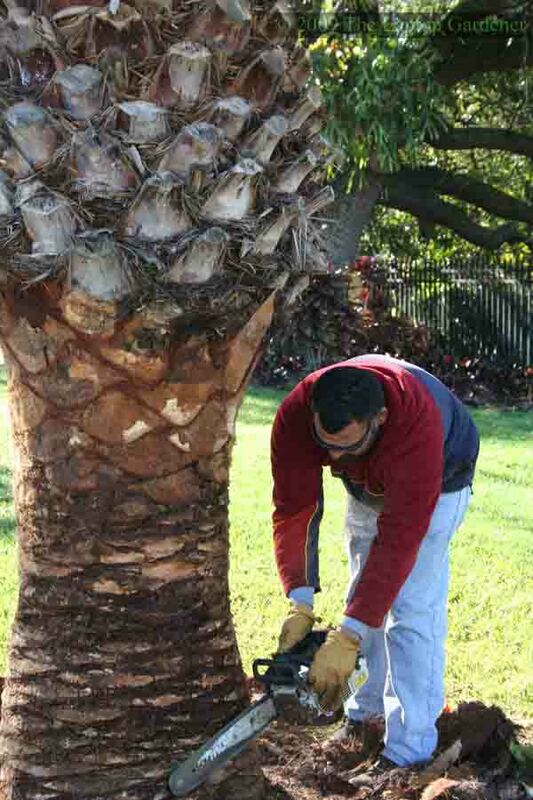 Other interesting happenings when I visited the garden was a gardener using chain saws was doing what he called “shucking the palm” by removing the boots. 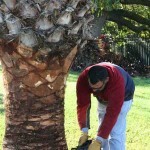 He was using the chain saw to clean up the trunk of the palm and remove the branch stubs. 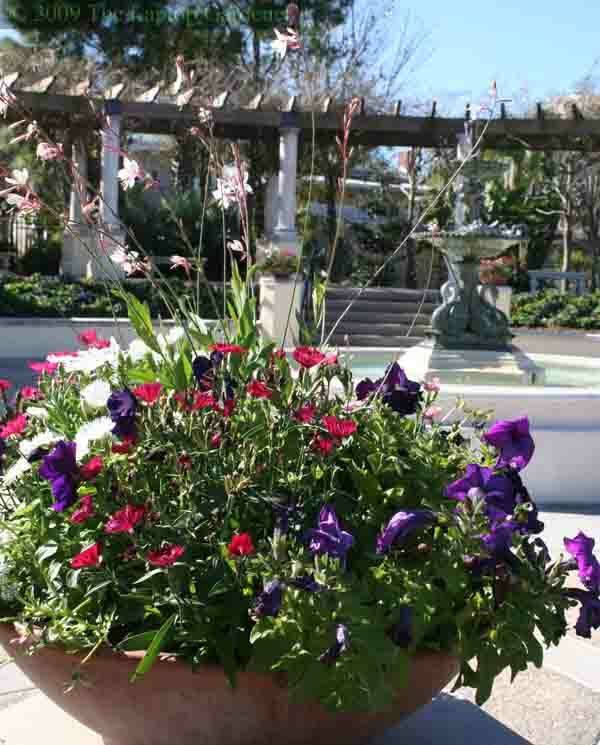 Besides the plants and thoughtful garden design, Hollis Garden is impressive because it is free admission for the public (there is a charge to rent the gardens for weddings) and it is operated by the Parks and Recreation Department of Lakeland, Florida. Good work! 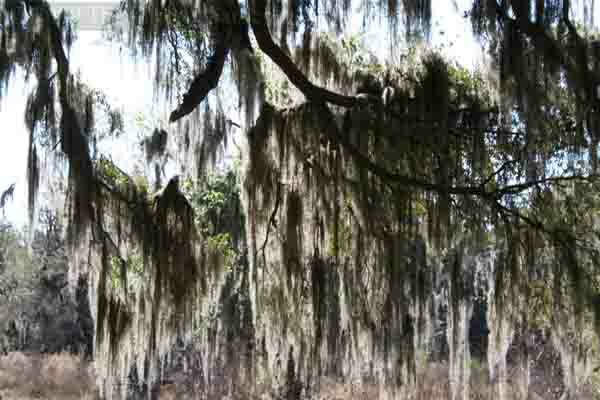 Newly opened, the Polk County Nature Discovery Center and Circle Bar B Reserve offers walking and hiking trails that pass under mature trees laden with dangling Spanish moss, and march past marshy areas with white pelicans, anhingas and alligators, around open water that attracts many more birds and other wildlife. The nature reserve, that includes an interactive orientation center featuring a large banyan tree replica with both a canopy and underground root observation areas for children to experience. Imagine the fun of joining kids in a secret underground area by crawling into a gopher size hole under the tree. There’s a great photo op spot as the underground explorers pop their head up through a hole at the base of the tree several feet away. 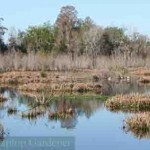 The property covers more than 1,200 acres of wildlife habitat that guarantees plenty to discover. 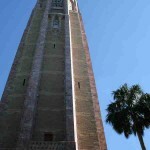 A long time favorite destination during azalea blooming season is the Bok Tower Gardens – a national Historic Landmark. Today, the interactive visitor center, new garden additions, Pinewood Estate house and tempting gift shop make Bok Tower an interesting place to visit any time of the year. 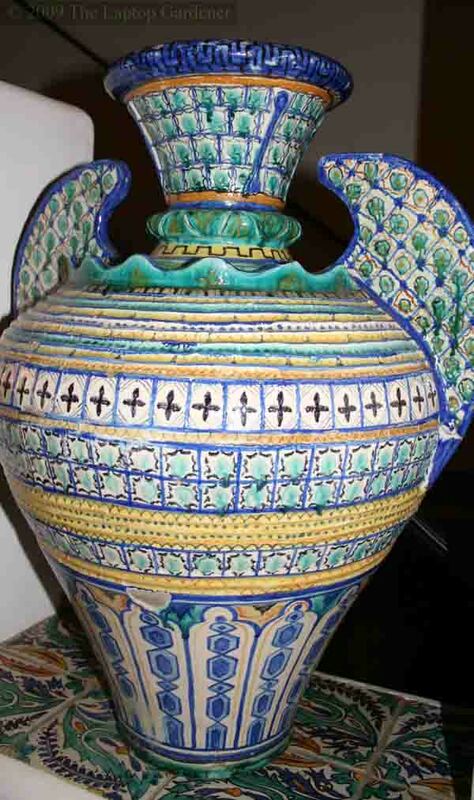 Edward Bok was born in the Netherlands in 1863 and immigrated to Brooklyn when he was six years old. He worked for Western Union Telegraph Company and Charles Scribner’s Sons before moving to Philadelphia to become editor of Ladies’ Home Journal for 30 years. He was awarded a Pulitzer Prize for his autobiography, “The Americanization of Edward Bok”. 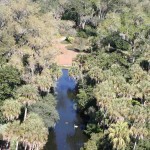 A noted philanthropist, in his 60s he created The American Foundation which would later be known as the Bok Tower Gardens Foundation to create his legacy garden near his winter home. 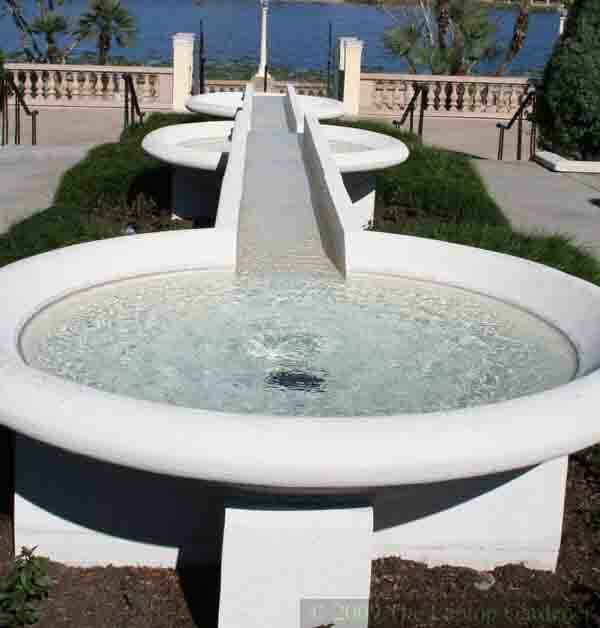 It was dedicated by President Calvin Coolidge in 1929 less than one year before he passed away – within sight of his beloved tower. 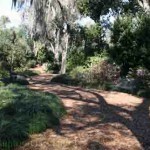 The gardens are designed with meandering paths under canopied trees with hundreds of azalea shrubs at eye level covering many of the 47 landscaped acres. 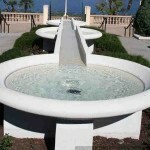 They were designed by famed American garden designer, Frederick Law Olmsted, who works include garden parks in Buffalo, Montreal, Boston, New York City, Chicago, Louisville and Ashville. 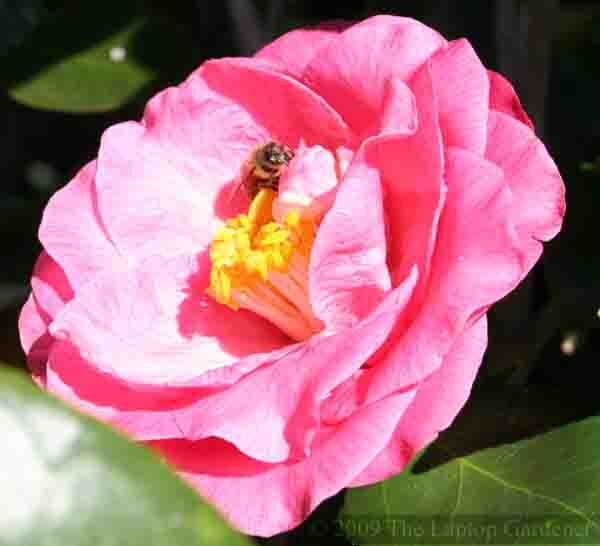 Splashes of color from the azaleas, magnolias and camellias fill the shady respite under the oaks, pines and palms from October through May. Then the roses and crape myrtle take over the blooming chores. 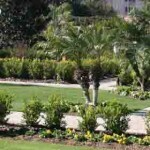 A 700 acre buffer zone of citrus surrounds the gardens. The impressive entrance building and visitor centre has fountains, sunlight, innovative plant displays and creative artwork. 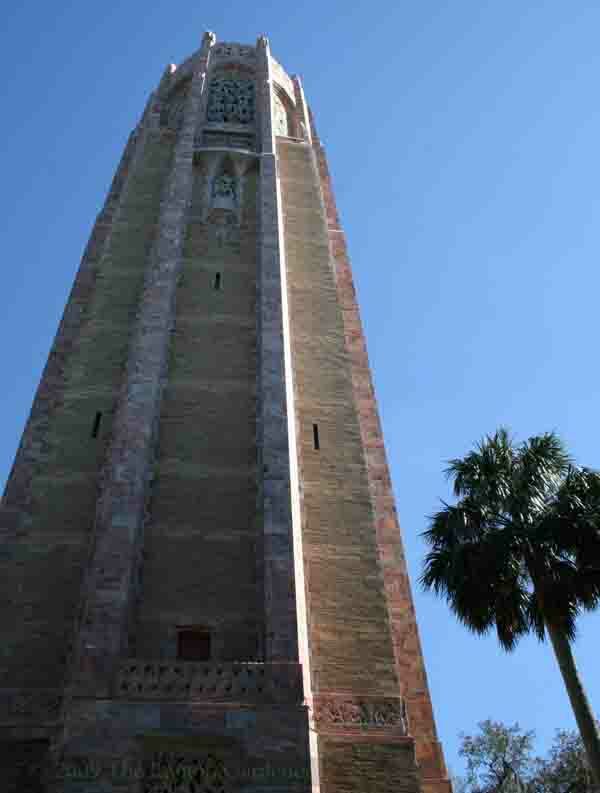 Bok Tower is a 205 foot art deco tower (as demonstrated by the tile grills at the top of the tower) that is the centerpiece of the gardens. 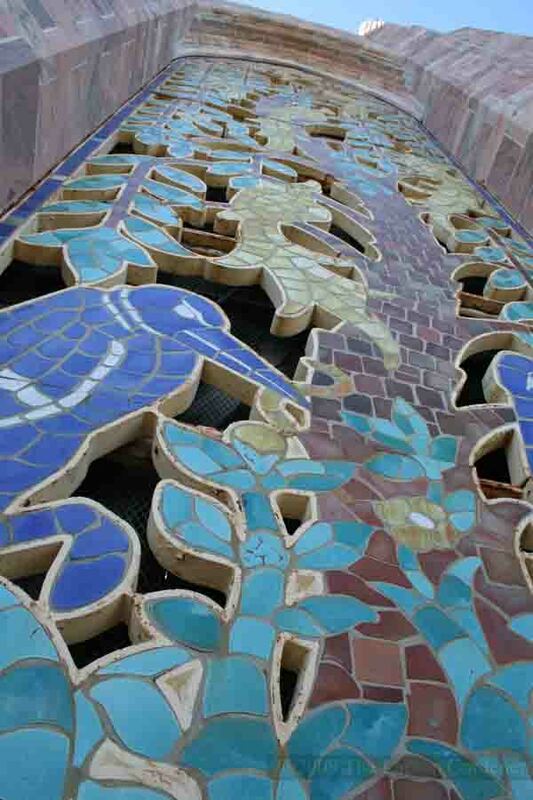 The tile grills depict birds and plants and other Florida wildlife representing the balance in nature and were designed by H. Dulles Allen. 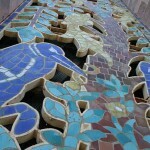 The tower was designed by Milton B. Medary and created by Lee Lawrie, stone sculptor extraordinaire. 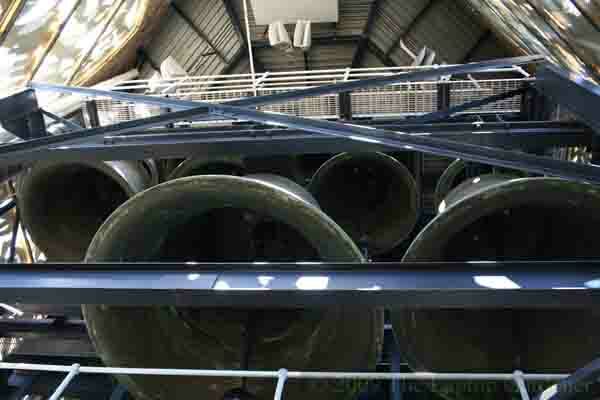 Inside the tower are 60 bells in a 40 foot by 30 foot chamber that form one of the world’s finest Carillons. Daily live concerts are held at 1 pm and 3 pm. 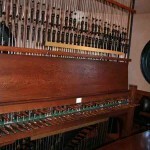 The job of carillonneur is an honored position and if past history is examined, it is a job almost for life. 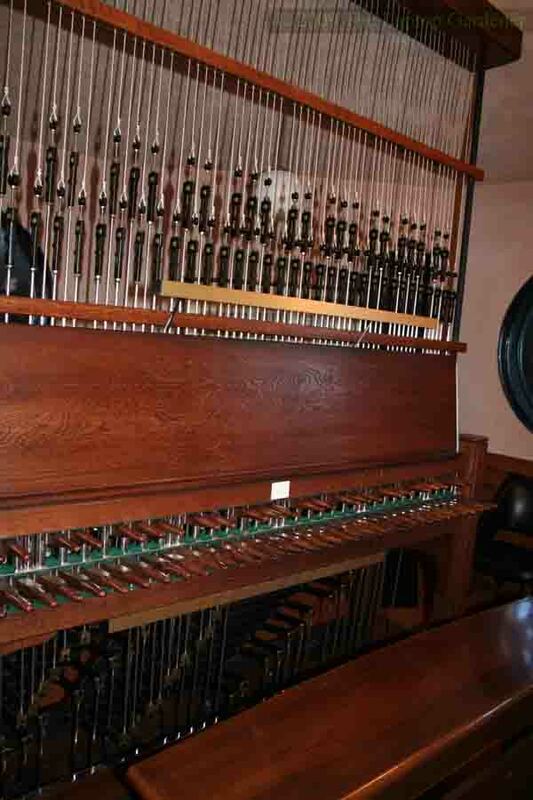 There have only been three carillonneurs at Bok Singing Tower since 1928. The playing room inside the bell chamber housing the clavier or keyboard in a somewhat soundproof room. 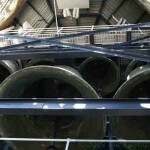 Good thing because a mid-afternoon hourly chime played when I was standing right underneath the largest of the big bells. 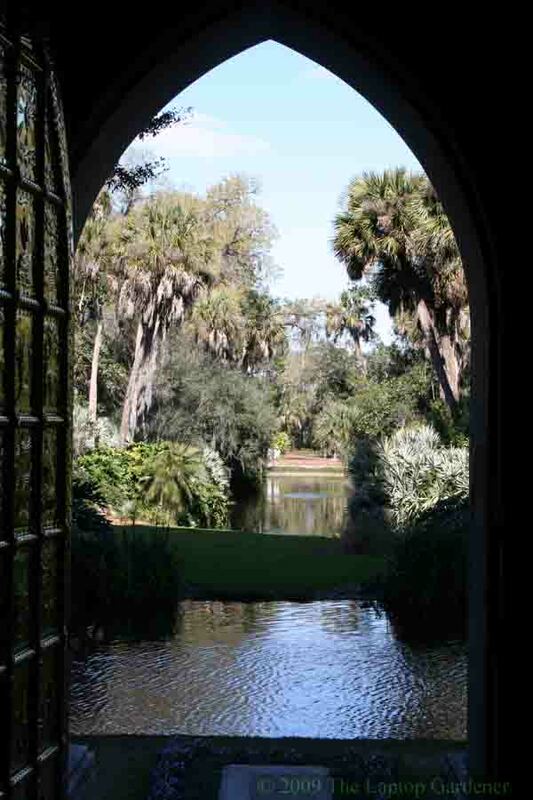 Bok Tower Gardens now includes an historic 1930s Mediterranean-style mansion that was the winter home of C. Austin Buck, vice president of Bethlehem Steel. The house, called Pinewood was designed by a member of Frederick Law Olmsted’s staff and is situated so that the entire house has views of the surrounding pine trees. 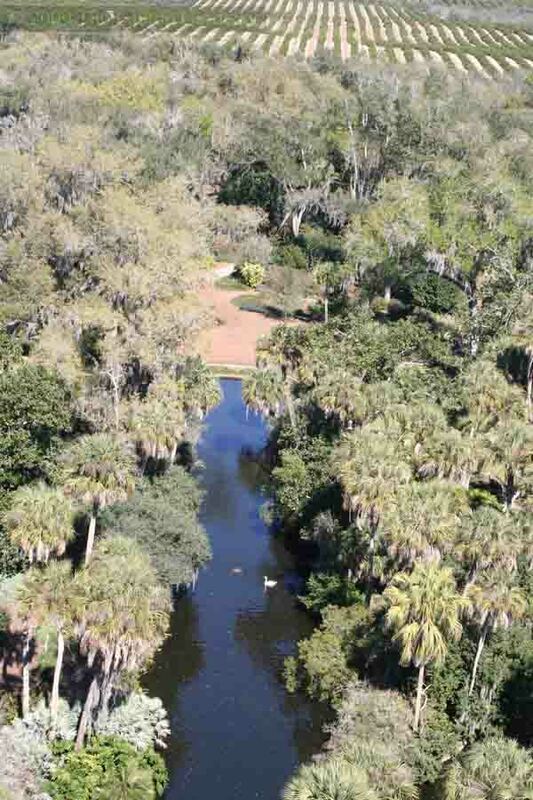 Pinewood was acquired by Bok Tower Gardens in 1970 and restored to its original design by staff and volunteers. 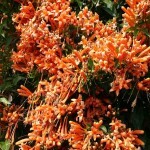 Outside the Lang Sun Country Groves and Florida Café is a spectacular vine the color of oranges and grapefruits that is growing about three stories up an electrical pole. Covered in orangish-yellow blooms the vine is a traffic stopper and a landmark as much as the building and family behind it. 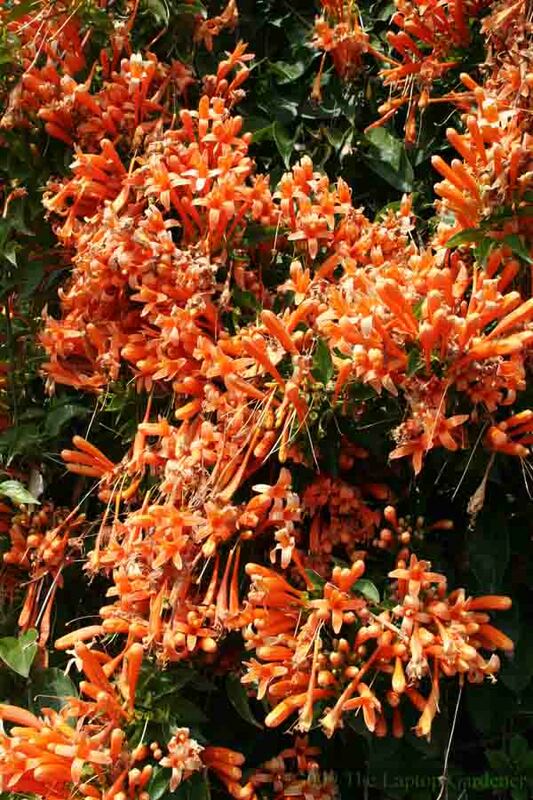 The vine is a Florida (or Mexican depending on where it is growing) Flame Vine (Pyrostegia venusta) and is originally from Brazil. 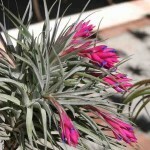 It grows well in zone 9 and flowers in profusion when it is kept above freezing. From the look of the vine, it might have been planted by Mary Lang over 55 years ago when she shipped her first box of fresh citrus. 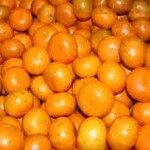 For more information and some of Mary’s citrus recipes visit www.langsuncountry.com. After admiring the stunning flowering vine during my visit, the next stop was to order a piece of grapefruit pie. Never imagining that it would taste so good, I was hooked on it from the first bite. Consisting of ripe grapefruit sections, strawberry jello, a graham cracker crust and a dollop of whipped cream, it was yummy. Three years ago, bad weather forced a strawberry festival indoor into the packing area and a new feature was born. 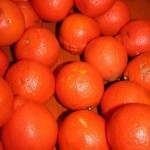 The Taste of Florida Café and grapefruit pie! 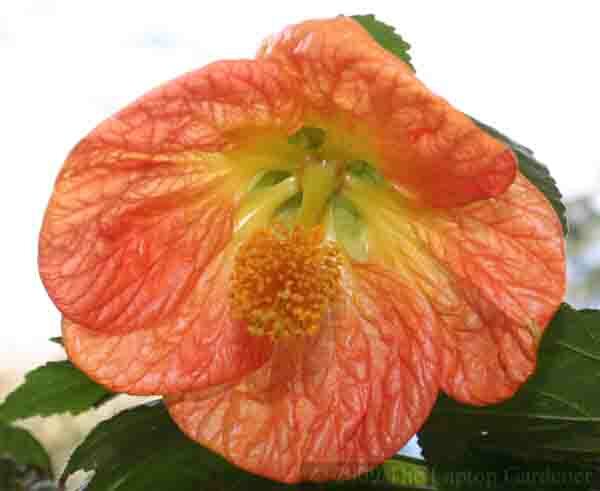 Langs Honeybell Tangelos , which are available only in January are a treasure. Sweet, juicy and oh so tasty. 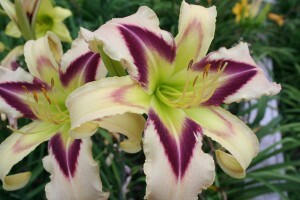 They are worth a special trip just to get some to take home. 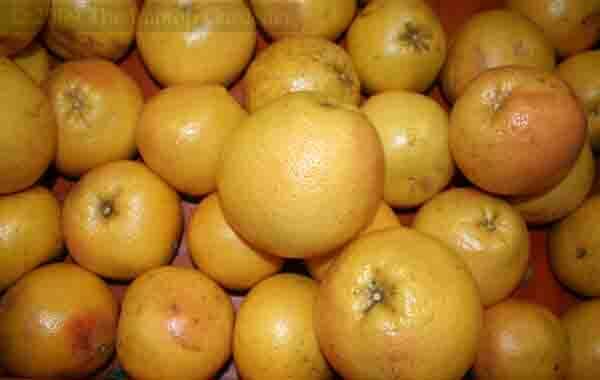 Other citrus include navel oranges (known for their sweetness), tangerines and grapefruit. 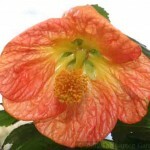 These are available in season from November through May. Florida’s Natural Grower’s have built an attractive citrus information building across the road from one of their main plants. The Grove House in Lake Wales houses a video presentation room, citrus tasting bar and gift shop all surrounded by live citrus groves. A great photo spot for the obligatory “standing in a citrus grove” souvenir pictures – without worrying about trespassing. 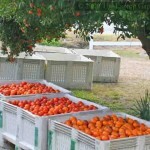 Florida’s Natural Growers grows only juice citrus and is a 1000 grower coop spanning 50 thousand acres. 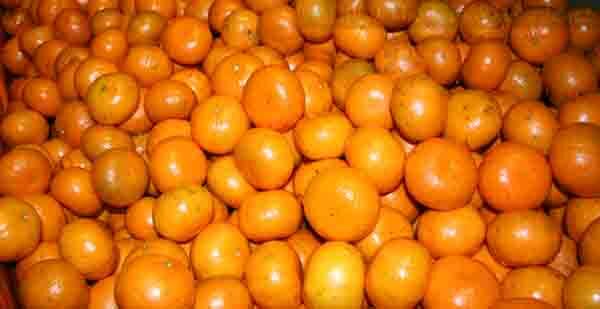 And here’s a little citrus trivia, the first orange seeds were brought by Ponce de Leon , Navaez and De Soto in the early 1500 from Spain. 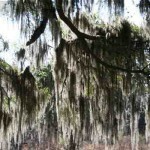 For more information visit www.floridasnatural.com. University of Florida’s Citrus Research and Education Center in Lake Alfred, Florida is a 90 year old establishment for research, teaching and extension responsibilities. 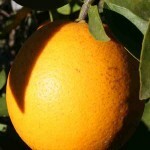 Their current major citrus research is on introduced pests; Citrus leaf miner, Diaprepes Root Weevil, and Asian Citrus psyllid, an aphid-like insect that is the carrier of a bacterium that is the real threat to the citrus industry in Florida. 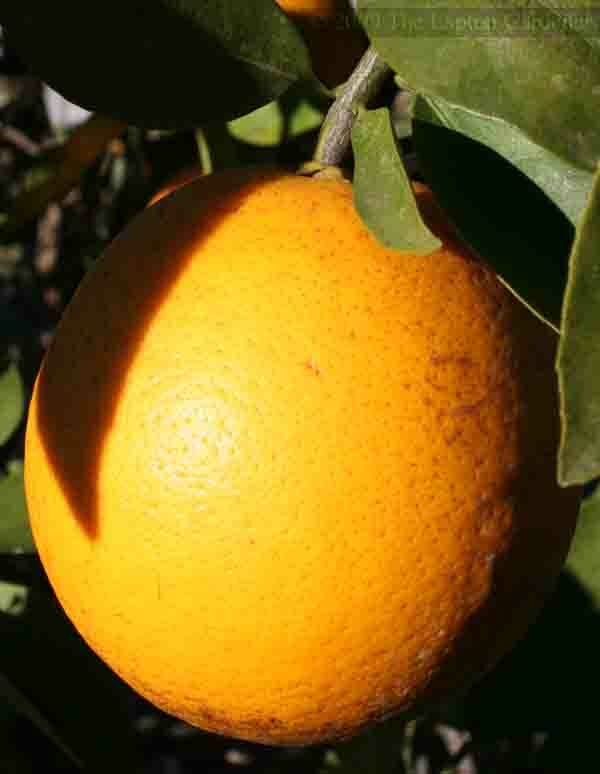 The resulting disease called “citrus greening” first arrived in Florida in 1998 and at present there’s no cure. Citrus greening is a serious challenge for Dr. Wendy Meyer and many others at the Citrus Research Center. 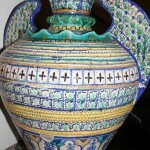 For more information visit www.crec.ifas.ufl.edu. 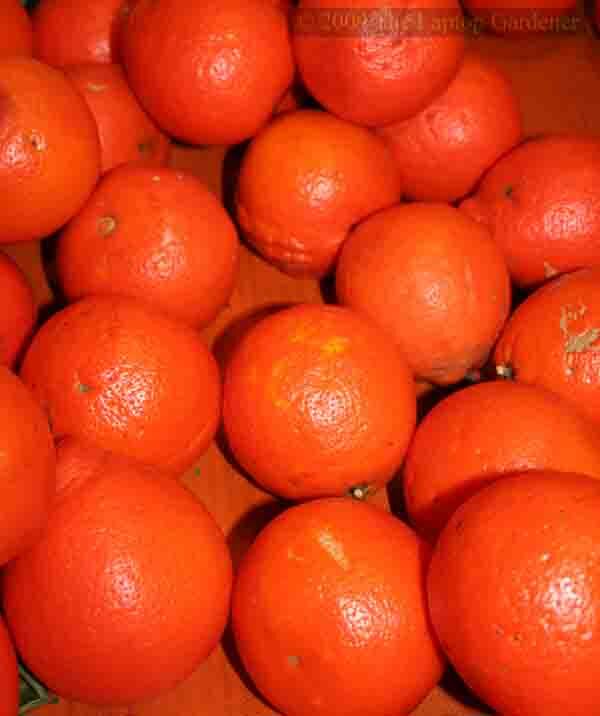 Most (95%) of the commercial citrus raised Florida is used mainly for juice. With that much being squeezed, there is a lot of byproducts left over. 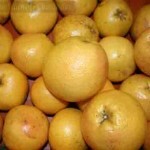 The rind and pulp is not wasted and is used for cattle (another important Polk County industry). For more information about Polk County visit the Central Florida Visitors & Convention Bureau at Polk Outpost 27 in Davenport, Florida or visit www.visitcentralflorida.org. Rising extra early morning on Sunday gave me time to capture some flowers blooming at Zilker Botanical Garden in Austin, Texas before the sun got too fierce. 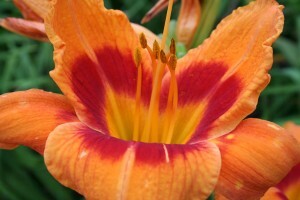 The daylilies (Hemerocallis) were particularly beautiful. 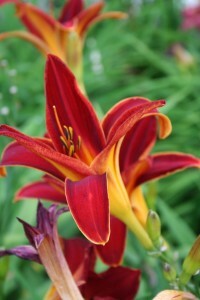 The Daylily beds just west of the main entrance were spectacular in the early morning light. 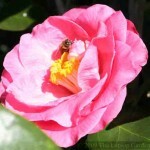 Each flower a perfect bloom to embrace the new day. 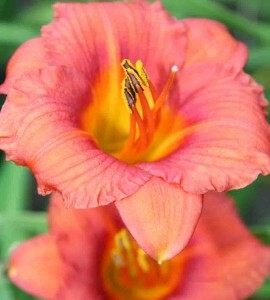 With the birds adding an audible chorus to the morning air, the daylilies were bursting into glorious bloom with all their might. While one lone photographer walked the 50 feet from the parking lot to get up close and really appreciate all their beauty – at the same time hoping that others in the autos speeding by at 45 mph would slow down to take a notice too. 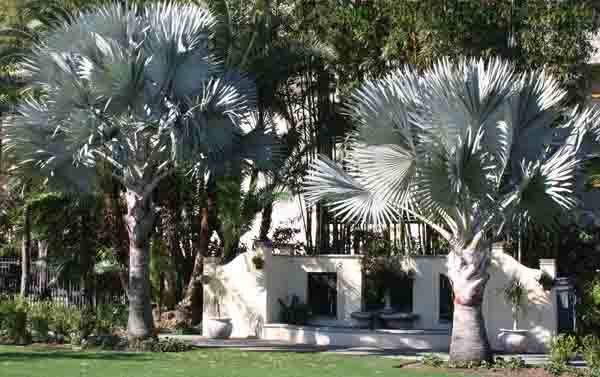 Zilker Botanical Garden is a 30 acre garden in the heart of Austin, Texas ajoining Zilker Park, a large recreation area treasured by the residents of the capital city. 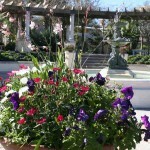 The gardens are free and open daily from 7 am to 7 pm (or 5:30 pm in the winter). Parking fees apply during the spring and summer month weekends. 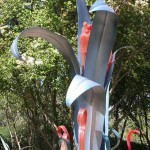 For more information call 512-477-8672 or visit www.zilkergarden.org. 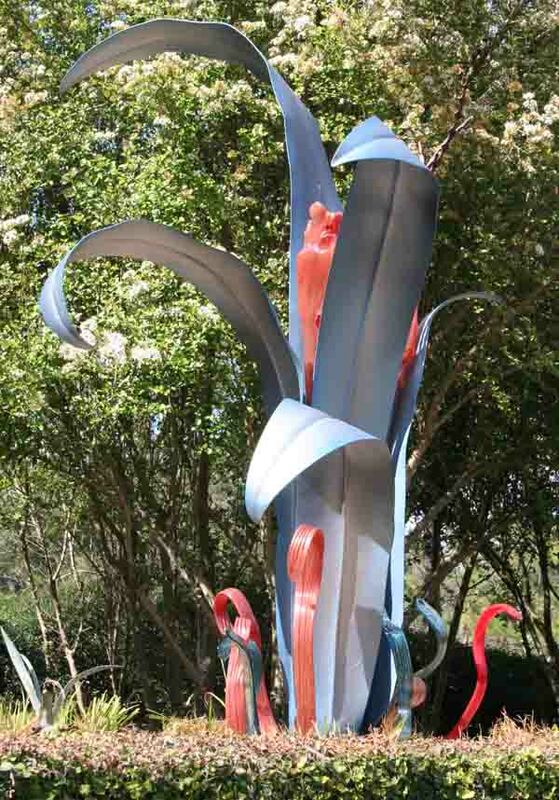 Zilker Botanical Garden is a collaboration of the City of Austin Parks & Recreation Department and the Austin Area Garden Council.